If you haven't heard of the new K-pop boy band making waves in the charts, you soon will. Tomorrow X Together - also known as TXT - are currently riding high at number three in the UK albums charts with "The Dream Chapter: STAR". It's pretty impressive considering they've only existed for a few months and they've just dropped their first ever music video. They're managed by Big Hit - the people who brought the world BTS. Where have TXT come from? Will TXT become the next big K-pop band? 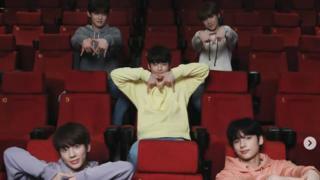 TXT are a South Korean boy band with five members. Soobin is the lead singer. 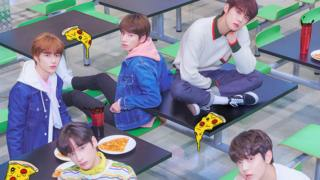 Then there's Yeonjun, Beomgyu, Taehyun and Hueningkai. According to Big Hit Entertainment, the name "TXT" represents the idea that the members "all come together under one dream in the hope of building a new tomorrow". 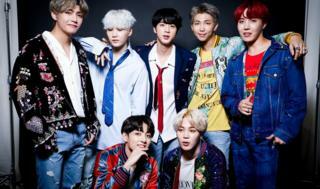 It's only the second K-pop band represented by Big Hit since BTS back in 2013. Fans have been teased about TXT's arrival since Big Entertainment posted 'get to know the boys' videos on Youtube in January. Seven hours after releasing their debut track, "Crown", the video had over six million views on YouTube. BTS member, Jimin, took to the band's official account to send TXT a good luck message on the day of the first music video release. His post said: "Moving forward, we will be cheering you on as well. Fighting! Sincere congratulations on your debut." In the USA, TXT's new single has reached number two in the iTunes charts and in the UK it's up to number three at the time of writing. What do you think...Can TXT become as popular as BTS? Have the boys met their match or can both bands exist in harmony? Hmmm. Bts, txt anyone see the name pattern here? Nice! It sounds cool bby!